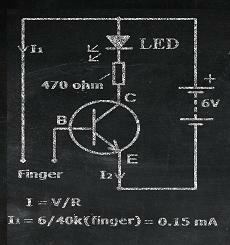 Hello and welcome to GoLearnElectronics.com, a site for learning electronics! My name is Cam and I began to learn electronics at an early age – building kits and making my own projects. I am now a 45 year-old electronics technician (amongst other things) and have built up a wealth of knowledge over the years both at home and in my diverse career. You arrived at this site by searching for the best way to learn about hobby electronics (i.e. electronics for dummies) so that you can begin your journey into this fascinating field, and I can assure you that you have found what you were looking for. …is to provide beginners, kids, students, and hobbyists alike, enough information to learn and become knowledgeable in the field of electronics. If you’ve been interested in hobby electronics but wasn’t sure how to get into it, then this is the site for you. If the path to becoming a serious electronics hobbyist (understanding circuit diagrams, selecting parts, testing/repair, etc) is A->B->C->D, then this website is perfect for getting you from A->B at least. For progressing beyond B, some further resources are suggested which you will find below. …began in the late 1970’s when I was about 10 years old. My father was an electrician so I was naturally exposed to the hardware and know-how which allowed me to easily assemble my first electronic kits. From reading hobby electronics magazines (there was still about 15 years until the internet! ), I was able to learn and develop a good understanding of electronics, which enabled me to design and prototype my own creations, bringing the many ideas I had to life! First of all, 7 common electronic components are briefly explained to get you familiarized with the most fundamental components found in circuits, which you will be using in the electronic kits you buy and also in your own projects. What does every electronics hobbyist need? Tools of the trade of course! As a beginning hobbyist, you will need a basic set of them for assembling your projects and also purchased kits. Here you will find a list of basic tools from precision screwdrivers to the soldering iron, and also a few advanced/optional ones such as the Helping Hand – an incredibly handy jig/vice which acts as a “third hand” for the hobbyist. 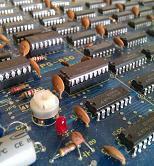 One of the most fundamental skills needed by every electronics hobbyist is to be able to solder. Here is where you will find a basic tutorial to get you started with this crucial skill. The internet offers a vast amount of free information on just about anything, but online resources often cannot beat the solid focus of a well-written book. Check out one such tutorial by clicking on the Learn More menu. Finally, under the Articles menu there are various electronics articles which I will be adding to over time, discussing various topics within the hobby electronics field. Again, welcome to this site and I hope that what you will find here will get you from A->B at the very least!